I first started working online – in 1995. I trained myself through Google and Youtube – and I am thankful for all the free training I have found over the years. I am also grateful for all the years I got to spend with my children, my husband, my friends and my dog. Time is a precious thing and spending 40 hours a week at a job you hate is no fun! Most of my life, I have worked for myself. I had a few jobs over the years and I didn't always hate them. I did hate that I had to go to work every day. I had a lot of years when I wasn't very healthy – and going to work was hard when I was sick. I usually don't last long at jobs because I am psychologically unemployable. I don't like working 40 hours a week for a paycheck. Plus, I feel I am worth more than most jobs are willing to pay me. I was born with an entrepreneurial spirit. I like setting goals and hitting them. I like freedom – time and money. I like working for myself, setting my own schedule. I like learning something new every day. Keeping it real here – sometimes working from home is hard. Sometimes I put in long days and got very little in return. Sometimes I would start a project and it would take months to see a return on my investment. Now, I get checks in the mail and deposits in my bank account from several different companies – all through Internet marketing. I love that I can work from home or work from the beach. All I need is a computer and a phone. I can work from anywhere. When I spent 3 months on Kauai, I used to get up at 5am and work until 10am and then go to the beach. That was the life! When I started Internet marketing there was no complete training (that I knew of). I would find a little info here and a little info there – never a central place where all my questions could be answered. Sometimes, I would search for hours before I found an answer to a question. I have taken plenty of courses, e-mail and online and learned a ton! If you want to work from home too, just about anybody can earn extra income from home if they do these 3 things. If you don't have a target, you can't hit it. 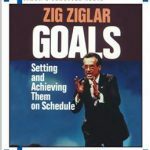 The great, Zig Ziglar told a story on his “Goals” audio recording – that I listened to until I wore the cassette tape out and then I downloaded it on Napster! Zig said he could beat the number one archer in the world at an archery competition! If first, someone blindfolded the #1 archer and spun him around a few times so he would have no idea where the target was. That's what going through life with no goals is like. Write down your goals. Hit your goals. Reward yourself. Some people will give Internet marketing a “try” – there is no try. Yoda said it better than I ever could. Watch it and remember – do or do not. You can't just try working from home for a couple of days and quit because it isn't working. Dig in. Do what it takes. Most people decide to work from home and then their friends and family tell them that “those things” never work and the company they are with is a scam. They quit because they believed people who are working a job and collecting a paycheck would know whether you can make money working from home. What do those people know about working from home? Talk to entrepreneurs and ask them whether you can work from home and make a good living. They know. You don't have to work a job. All you have to do is find something you love to do, find a way you can help other people while doing what you love. There is that nasty “C” word that everybody hates! You know the one – commitment. I am not asking you to get married. Just make the decision – you are going to reach your goals, no matter what it takes. Or you can get free training to work from home, all in one place, with live help and an active community of entrepreneurs. If you are looking for a group of people who are all committed to your success- look no further! I really have never seen a group as active and kind as this one. When I say completely free training – I mean it. You get to try it all for free for the first 7 days – with many of the perks and you can even build a couple of free websites – with help from the training of course. You will have video training and written training, plus the ability to ask questions in the community – for free for the first 7 days. You even get access to the keyword research tool – which is so cool! After 7 days, your ability to interact and ask questions in the community goes away unless you upgrade to “Premium” – which is only $19 for the first month and $49 a month after that. There is also a way you can bring the cost down to under $30 a month if you sign up for the yearly plan. That was actually how I found this free training – because it was being compared to this other one – and when I clicked on the link to join – I saw that I had already joined for free – Five Years Ago! But I never did anything with it five years ago. I made a profile and probably looked around some, but it looks like I never started the training or made a website. The platform tracks your progress and all of my progress was at zero! So, last Monday, I upgraded to premium to get access to the full support of the community and dive in head first into the training. I have completed all of the training that would have been available to me as a free member and I am continuing on with the Premium training. It's Monday, one week later. How do you like the website I created in one week? Work from home and you can work from anywhere! 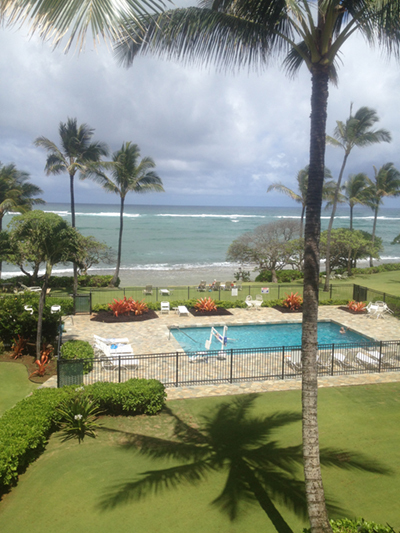 This picture is from when I stayed in Kauai for 3 months. Leave a comment below. I'm looking forward to getting to know you and seeing your own progress and success! Yes. It takes a lot of commitment and hard work, but it will pay off. Internet marketing is a great way to make income as long as you educate yourself like you said. Commitment and hard work definitely pay off! Thanks for commenting. Very well written and very informative. I love the setting goals section, cause I myself love to set goals so I can crush them so I can make more to crush. That’s awesome, Fred. Crushing goals so you can make more to crush – makes me smile. Keep crushing those goals! This is the best post I have come across in a long time, and I am about to start a new job tomorrow, feeling anxious and depressed about it. I believe that I am psychologically unemployable too, because I worked from home for a very long time running a graphic design biz, and then had to get back to work after a time. But I really want to try this, and get back to what resonates with me. I will check this out. Thank you. If you ever need any help, let me know. You can work nights and weekends to get out of that job – I know that having to take a job would be motivation enough for me to work extra hard to be able to quit that job. lol There is plenty of need for graphic design. Do what you love and the money will follow. If you like (or better yet, love) graphic design, do it! Get the training to do it right. This is a very motivational post!! I love how you have turned your work into something you love and you help others to do the same. I believe success is access to resources and you are certainly an inspiration to help others make a difference in their passion too! Thank you for sharing, your message is important. Thanks, Kathleen! I’m glad you enjoyed the post. I enjoyed reading about your journey and you make a lot of sense about setting goals and making the commitment to reaching those goals. I especially love that quote from Yoda and I reference that myself from time to time. To be able to work from anywhere you want and set your own schedule is something I have always wanted in my life and your recommendation for learning how to do this seems like a great option but, I don’t know anything about creating a website. Does this training teach you about websites, or is it only about internet marketing? You will definitely learn how to build a website and how to fill your site with content that will bring traffic. I built this website in a week – using the training. You can do it too. If you need any help, contact me anytime. Great post… totally agree with not able to find a place that gives you everything in one place. You gave good straightforward information. I am convinced and would sign up but I’m already there. welcome back. Thanks, Beverly! I’m glad to be back! Thanks for commenting! Thank you for sharing your adventure of an entrepreneur spirit. It is totally cool that you could look back at your account five years ago of where you were then and where you are now. It’s inspiring to see your successes. set goals, commit, and educate. I have signed up premium and I love it!!! It’s a great place to learn with lots of support. Thank you for sharing your thoughts. Ha – it is going to be so nice working alongside you in Wealthy Affiliate and we are both premium – that means we are both in it for the long haul, no looking back. Glad to know you! Loved your post, thank you for sharing. You really boil it down to the key ingredients. Nobody said it’s easy but doing something worthwhile never is. And I totally agree with you. You have to commit and not listen to the people around you who say it is not going to work. I started building my website (with all thanks to WA) late last summer. And while I have committed to getting posts up several times a week and constantly looking and tweaking things to make it better, I don’t have much traffic yet. I have yet make any money. But honestly I don’t really care about that right now! I love the process and am enjoying it so much that I know that will come when the time is right. That’s a great attitude, Mat. Never give up. If you ever need any help, just ask. Hope to see you inside WA with your success story! I have to admire your Spirit, you wanted something and you went for it. I am definitely in the same boat, i wanted more out of life than my 9 to five working life, when i was laid off for the 4th time i went self employed and eventually discovered internet work then affiliate marketing. Joining Wealthy affiliate was the the turning point. 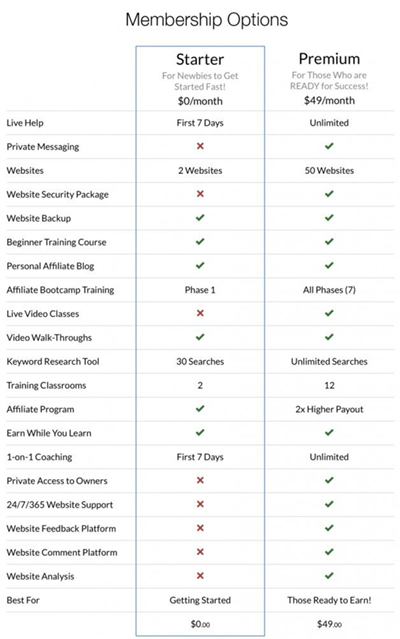 Wealthy Affiliate is a goldmine of training – it’s so essential for anyone who wants to succeed in affiliate marketing. I am so glad we found it! Going premium was my best decision! I love all this work from home information you can get from Wealthy Affiliate, and it is really cool that someone who has been doing this for so long chose this website. I am really new to this, but I plan to learn a lot. Still got a ways to go! I’m prepared for the commitment. I didn’t notice any errors in your writing, that is awesome! I like to use a Word document to pretty much rough draft my content before posting to correct any errors. And i like to share that because there are a lot of errors the Site Rubrix doesn’t catch. Overall, awesome job! Thanks Tesa, I am a bit of a perfectionist when it comes to writing – errors bug me too. I read, re-read and re-read again. Thanks for stopping by to comment. I really appreciate it. Thanks, Ben! I am glad you liked the post! Thanks for stopping by to comment!